We start with basic planning. The characteristics identified results of laboratory and pilot tests, structural prerequisites and other customer requirements, are incorporated in the definition of the technological process and the main components of the plant technology. The necessary construction measures are then defined. Costs for both plant production and operation are largely determined at this stage. At this point, EnviroChemie prepares a detailed quotation for you, for the supply of the equipment and detail engineering. 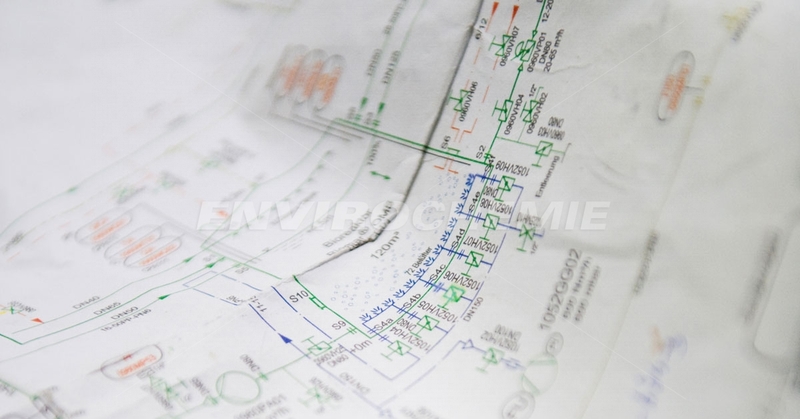 If required, we also assist you with the approval planning of the water management plants.